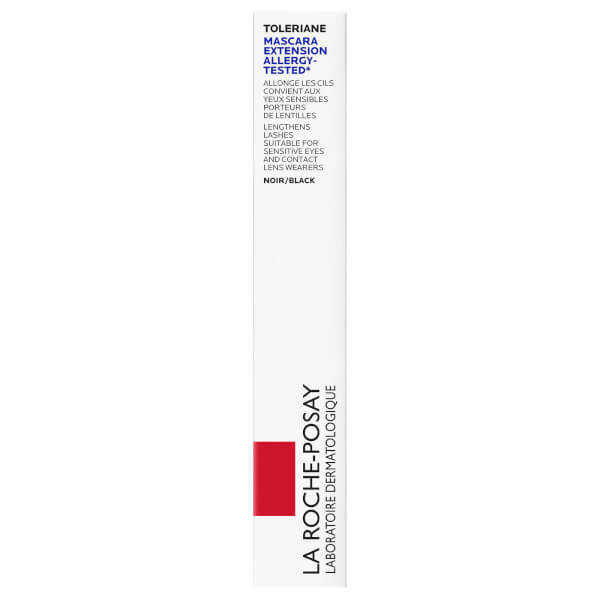 Achieve bold, fuller and healthier-looking lashes with the Toleriane Extension Mascara from La Roche-Posay. Delivering intensive thickening and lengthening properties, the formula is enriched with fortifying polymer SRP to strengthen and condition each individual lash with continued use. 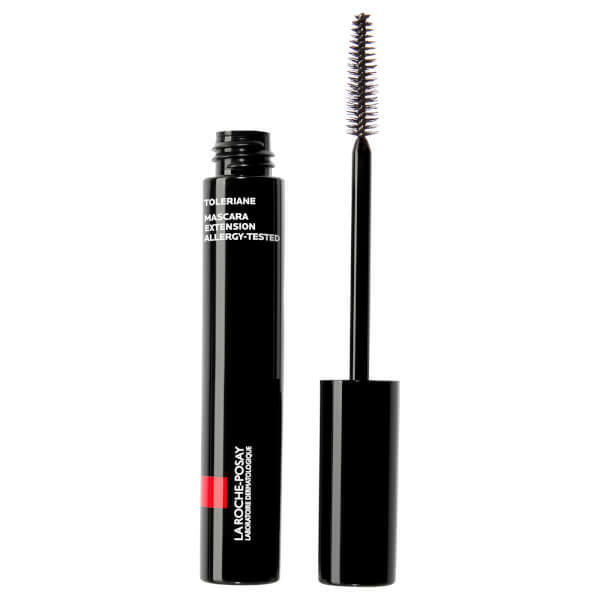 The intense black pigmentation adheres evenly across the entire lash for maximum volume and density. Suitable for sensitive eyes and contact lens wearers. Place the brush at the lash root and slowly move towards the ends while gently rotating the wrist, as when styling hair with a round brush, to separate the lashes and apply the product to the entire length, without clumping or over application. Aqua / Water, Paraffin, Copernicia Cerifera Cera / Carnauba Wax, Cera Alba / Beeswax, Steareth-20, Acacia Senegal / Acacia Senegal Gum, Butylene Glycol, Alcohol Denat., Glycerin, Steareth-2, Cetyl Alcohol, Potassium Cetyl Phosphate, Hydroxyethylcellulose, Sodium Dehydroacetate, Sodium Polymethacrylate, Sodium Chloride.